Mrs. Ethel Gwendolyn "Gwen" Nichols, age 78, passed away Wednesday, October 4, 2017. She was born in Colquitt, Georgia on July 23, 1939 to Woodrow & Vera (Roberts) Sinquefield and married James Nichols on June 1, 1973. Mrs. Nichols had been employed as a Quality Inspector for Northern Fibre for 25 years until retiring. 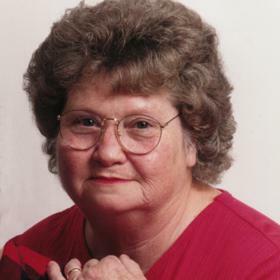 Ethel enjoyed quilting, cooking, casinos and spending time with her family. Daughters, Emily (Bob Kolanko) Schiller, Rita (Don) Kieft & Sharon (Tim) VanderWall; 11 grandchildren; 14 great grandchildren; 4 sisters; 1 brother. She was preceded in death by her husband, James. Private services have taken place.